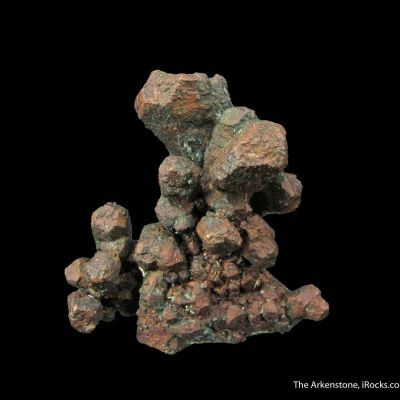 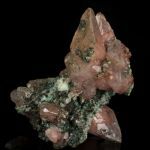 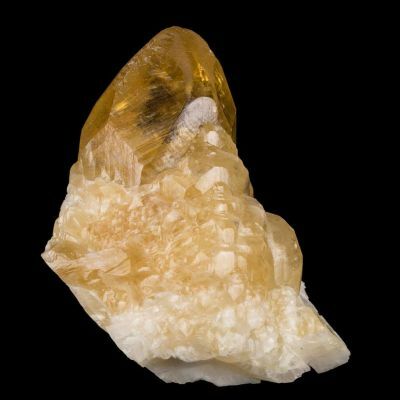 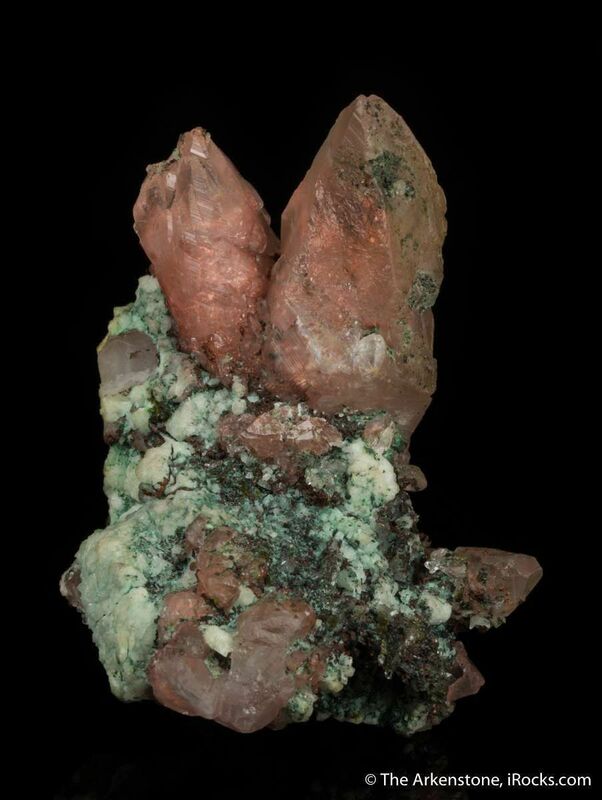 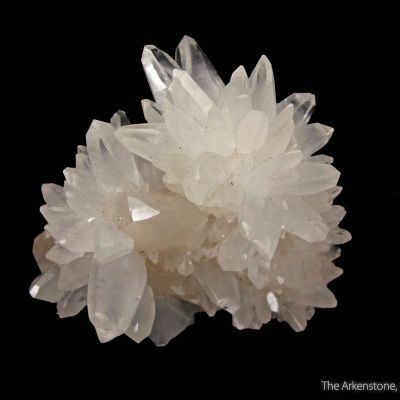 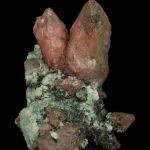 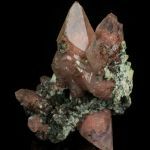 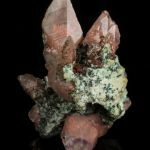 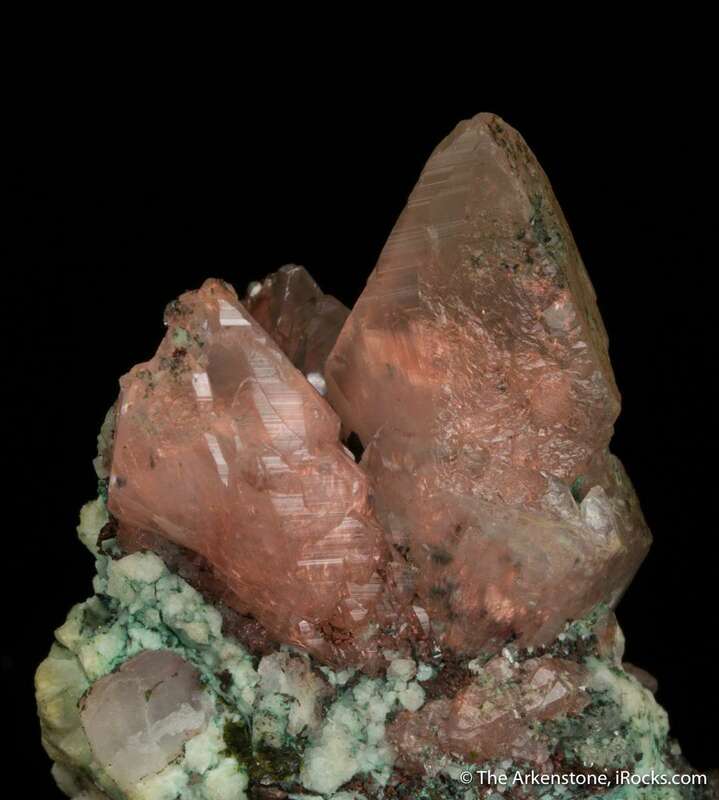 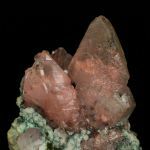 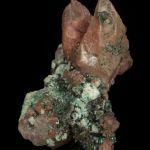 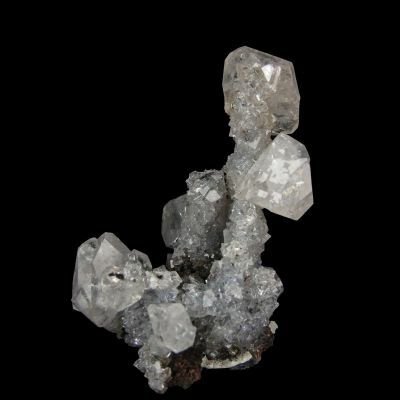 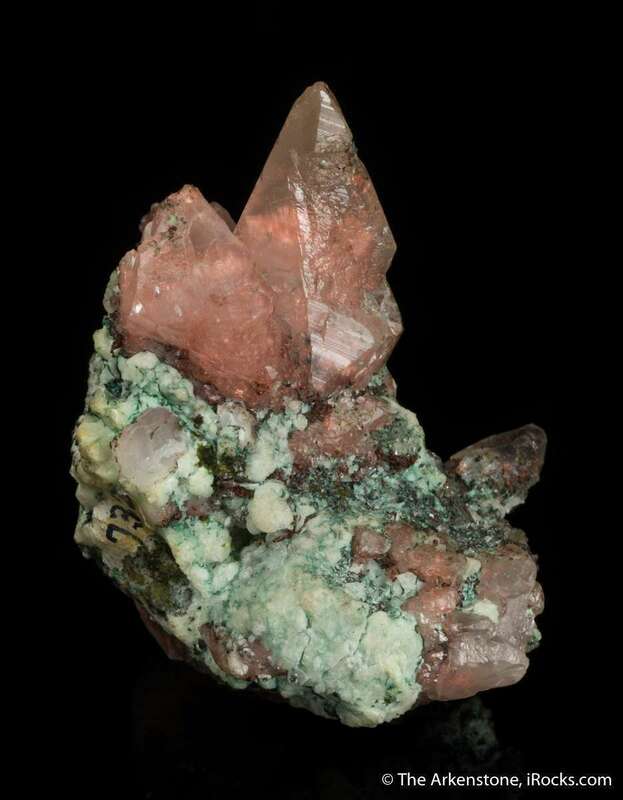 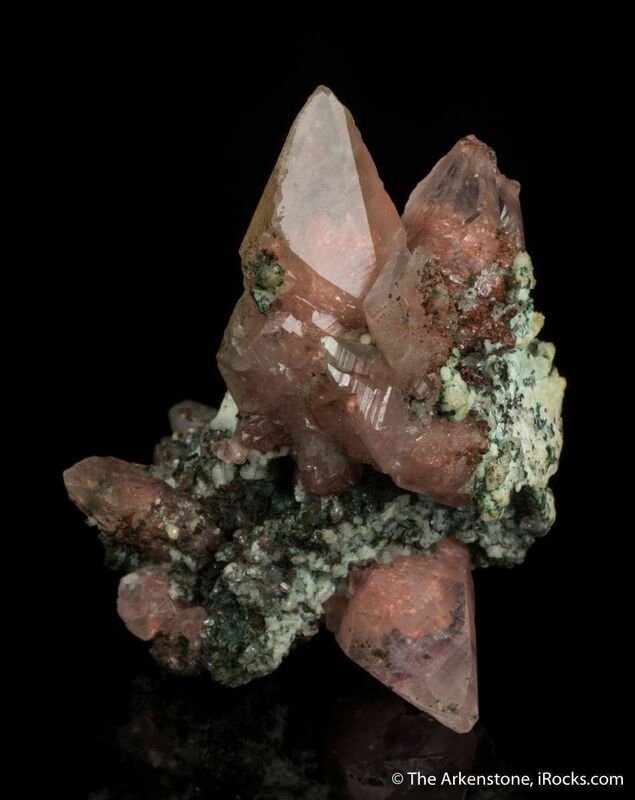 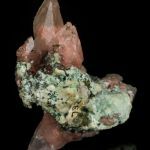 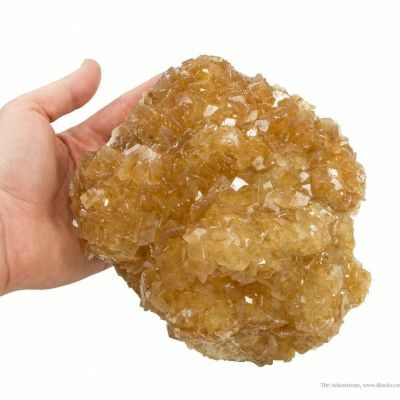 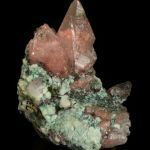 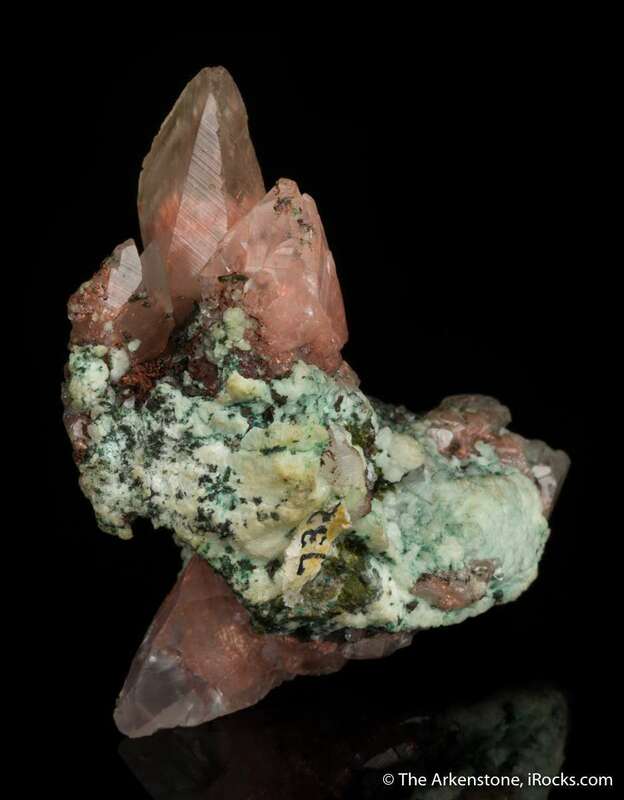 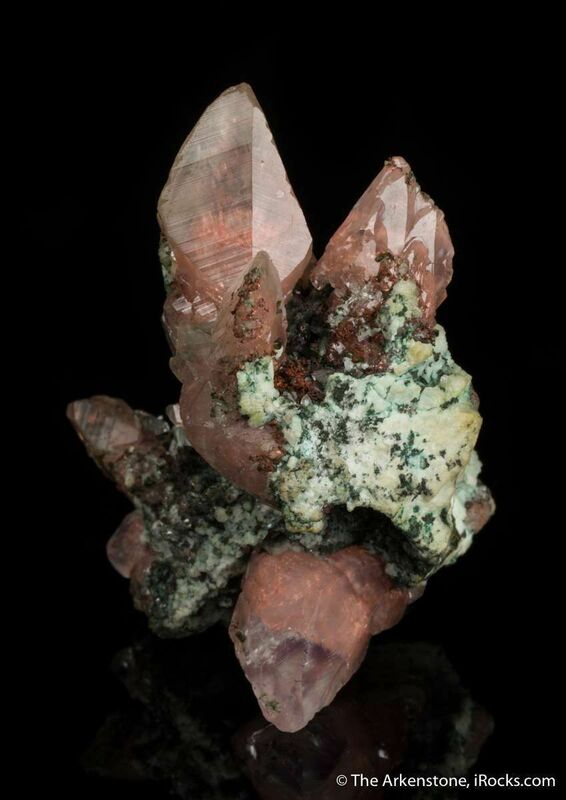 This sharp cluster of calcite crystals is heavily included with bright copper specks - an old Copper Country classic! 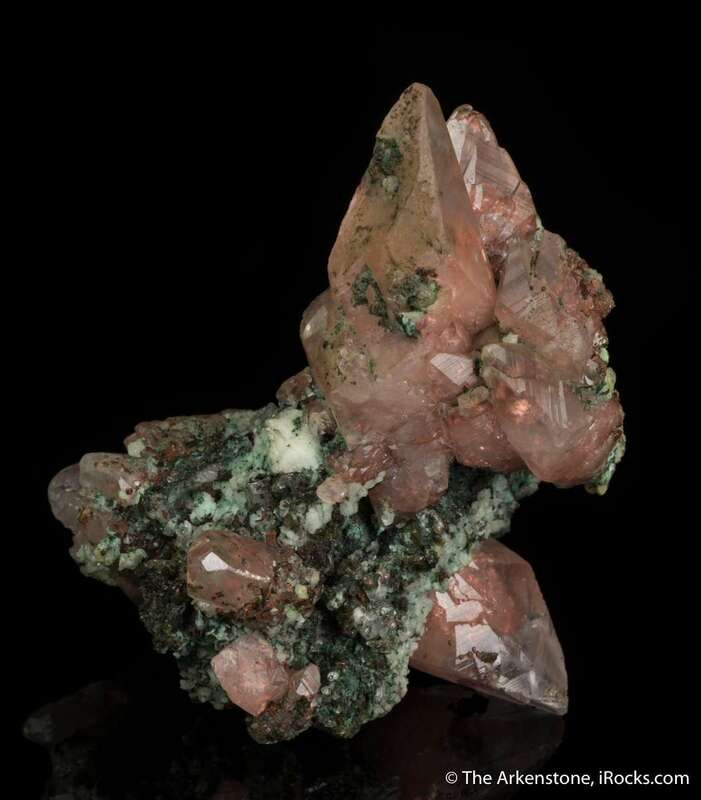 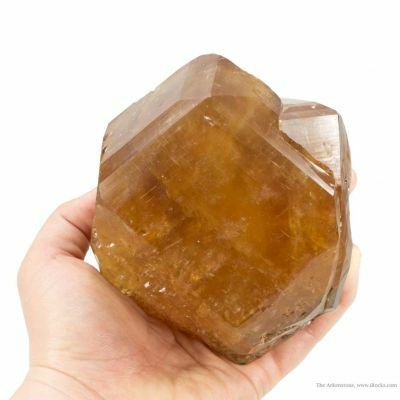 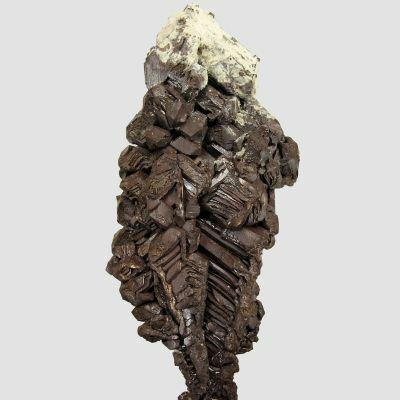 Crystals to 4 cm, beautifully displayed on matrix, and with good color and luster, make this a very affordable and respectable example of this rare old classic. 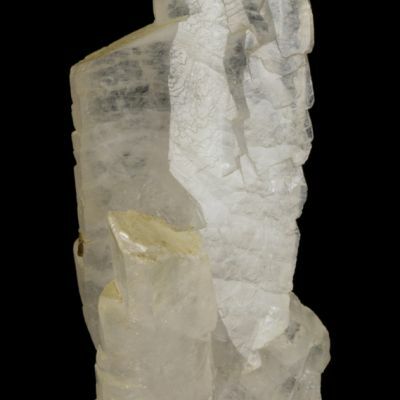 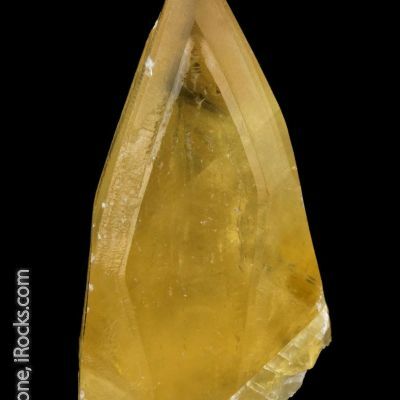 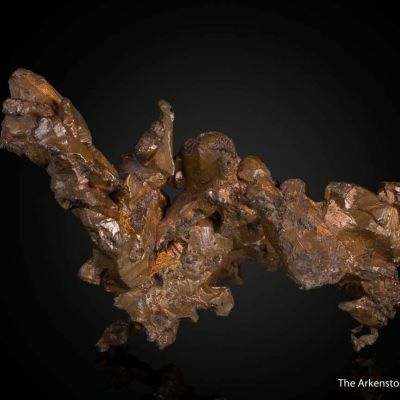 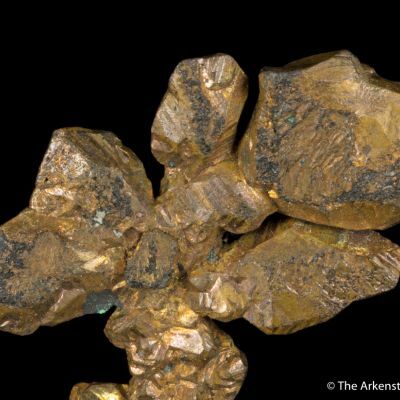 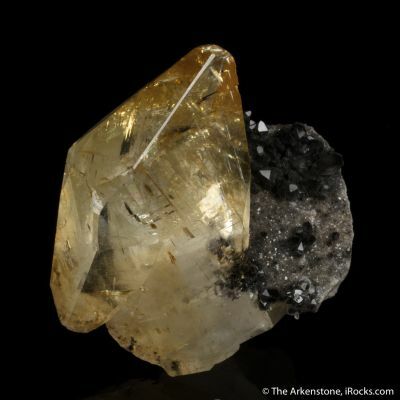 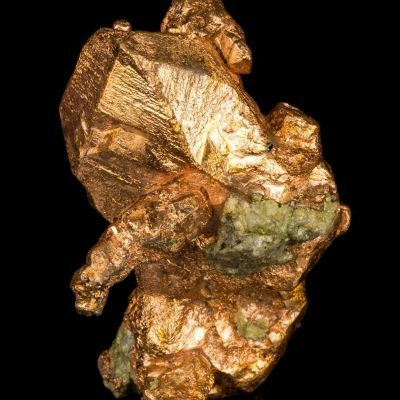 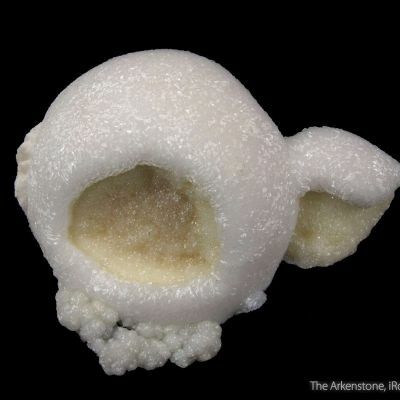 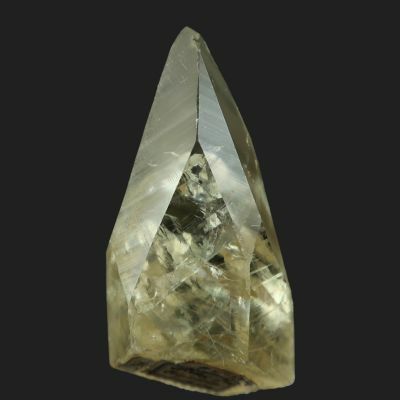 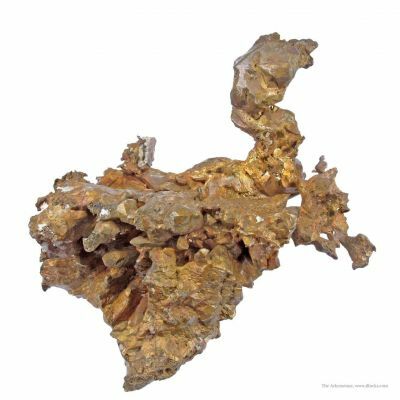 Most are thought to have been mined in the late 1800s. 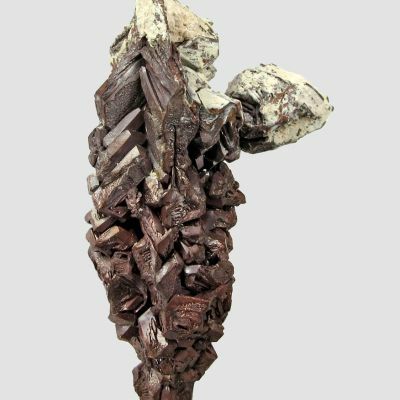 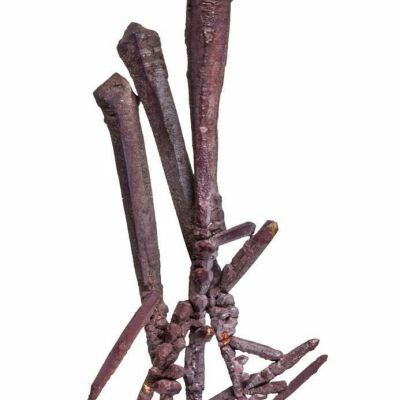 The specimen was dirty and uncleaned when I bought it in the estate of Robert Trimingham, and it actually cleaned up rather well, and I value it somewhat higher if truth be told. 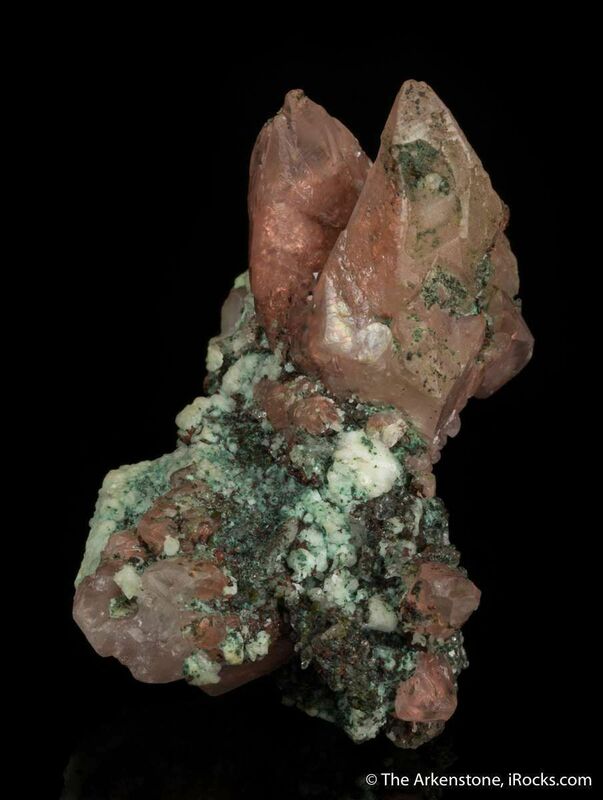 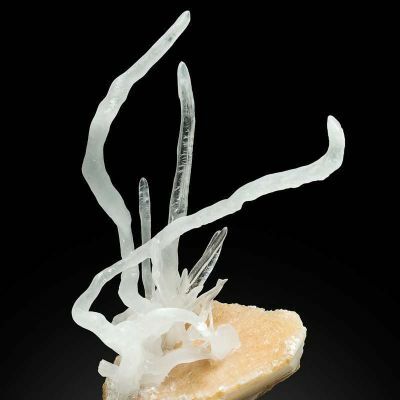 The matrix is prehnite and basalt.